You can Skype with your Australia-based BFF or get to work in a driverless car, and yet no one’s figured out a way to banish ingrown hairs for good. Indeed, down-there maintenance can be surprisingly, well, delicate, regardless of whether you’re going full-Brazilian or opting to keep things au natural. 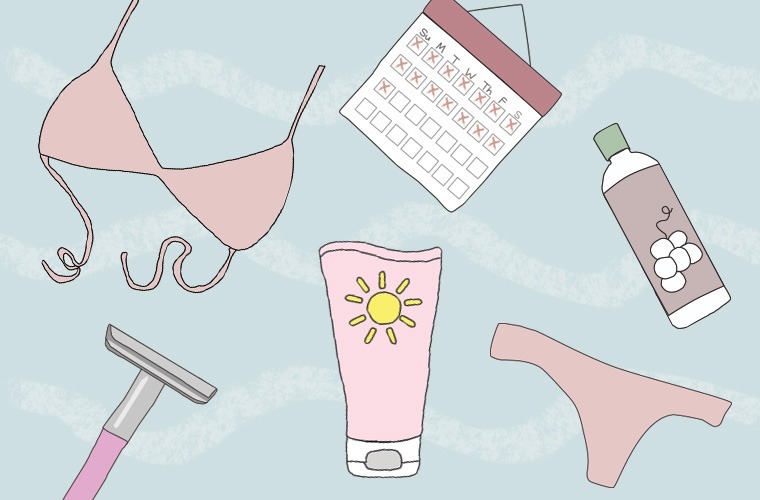 Read on for her expert tips on prepping and maintaining a flawless bikini area, no matter your grooming preferences. When it comes to your nether regions, all wax is not created equal—and you owe it to yourself to be a bit picky. If you prefer the shaving route, Schubert suggests applying tea tree oil immediately after to prevent ingrowns and razor burn. Oils such as jojoba and grapeseed are also ideal for the pubic region, because they quickly absorb into skin and hair and soften both, without staining your clothes. But, warning: While coconut oil has so many uses, minimizing ingrown hairs isn’t one of them, Schubert says. According to Schubert, frequent waxing can lead to uneven skin tone and discoloration. “To minimize this, take a break from waxing when you can, and exfoliate and moisturize in between sessions,” she says. Depending on how fast your hair grows, definitely wait about three to four weeks in between appointments, or until your hair is 1/4 inch long. And at some point during the year, consider forgoing waxing for a full two months to let your skin truly rest. Pulling out your razor at the right time can make all the difference when it comes to bikini line beauty. At the end of your shower, your hair and skin are the softest, making it prime time for shaving, says Schubert. If you’re a shaver, invest in a sharp, single-blade razor. Yes, it’s kinda old school, but Schubert says it helps to prevent irritation and nicks. Turns out, when it comes to hair removal, “more is not always better,” she warns. If laser treatments are more your thing, be sure to avoid being directly in the sun for two weeks after a session. “This prevents hyper-pigmentation and sensitivity,” says Schubert. The same goes for spray tanning—it’s super important to give that delicate pubic area a bit of a break. Now that that area’s covered, here are six expert tips for choosing the right facial oil. Or, looking to work on beauty from the inside? Sip on these nine delicious smoothies for glowing skin.